Sorry I keep forgetting to write! Anyways, this summer I went back to Coquitlam,Vancouver! It took 12 to 13 hours! Ugh, it was so tiring! But, it was worth it once we got there. There were a lot of exciting things I did this summer; such as, I attended my first bridal shower and wedding, enjoyed myself at a summer camp at my dad's old university, played with the cutest dog ever, went rock climbing, and other fun things! This is me and my cousin in our flower girl dresses! For the wedding, I was a flower girl with one of my other cousins and two of my auntie's nieces. At first, I had absolutely no idea what a bridal shower was! And it didn't help that my mom kept telling me that at a bridal shower is where you give the bride an actual shower! But I had great fun that afternoon! During the wedding, I was quite nervous! But it turned out okay. One thing I really liked was all the candies that was there for the taking. There were take-out boxes and you could just fill them up with all the candy you want!! But, obviously, my absolute favourite part of the wedding was the ceremony! The best part of my vacation, though, was the rock climbing! I love rock climbing! Because when I got to the top, I feel powerful! :p I also love doing it because it challenges me! 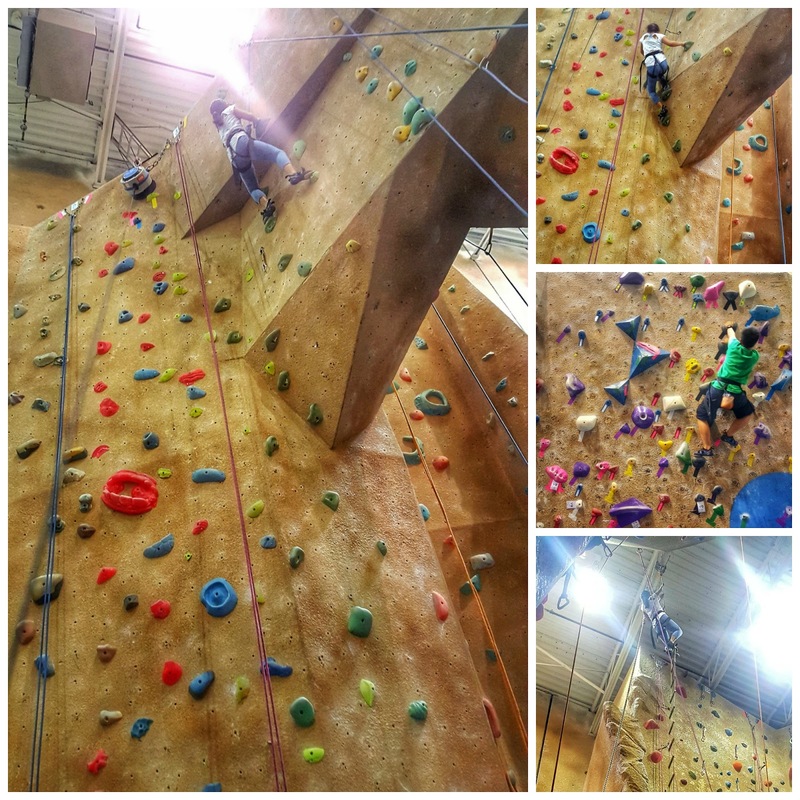 I did the most climbing during the session, then came my dad, my brother, then my mom. One of my favourite parts of it was the auto belaying! What you do is you clip yourself to the rope, then you just climb up. When you want to stop, you just let go and you sort of free fall for a second, then you slowly descend! It was so cool! Actually, rock climbing was how my mom and dad met! Blueberry picking! This is like an annual summer tradition for my family! This year we found some good blueberries; they were really juicy! To find them all we did was pull down some branches! They were all hiding! Something I love about going blueberry-picking, apart from picking the berries, are the fresh smoothies they serve at that place! I had a raspberry one! This is India, my cousins' dog! She's a bernedoodle - a Bernese mountain dog crossbred with a poodle. We all had so much fun with her over the summer! But the best part was visiting spending time with my cousins again! You continue to amaze me! I love how you are up to challenges and how you persist even when it's so much easier to just give up. You overcame that overhang, which was really tough; not everybody was able to do that (or even tried)!